JEWELLERY or JEWELRY consists of small decorative items worn for personal adornment, such as brooches, rings, necklaces, earrings, and bracelets. Jewellery may be attached to the body or the clothes, and the term is restricted to durable ornaments, excluding flowers for example. For many centuries metal, often combined with gemstones, has been the normal material for jewellery, but other materials such as shells and other plant materials may be used. 5 Ways to Update Your Jewelry Box - The New York Times. 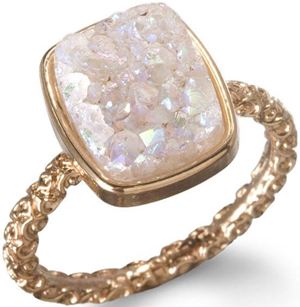 ADELER JEWELERS - "Custom Designers of Fine Jewelry since 1975." AKIMIO - "Designer Jewelry Rings and Pendants." Alex and Ani - "Eco-conscious, positive energy products that adorn the body, enlighten the mind and empower the spirit. Made With Love by Carolyn Rafaelian." Alor - since 1979. Men's bangles & bracelets. Alor - since 1979. Women's. ASPINAL OF LONDON - women's. Aurora Lopez Mejia - women's. BACCARAT - founded 1764. Women's. BVLGARI - founded in 1884. Subsidiary of LVMH. BUTLER & WILSON - women's. CastaÑer - since 1927. Women's. CHARLOTTE OLYMPIA - "To Die For." COACH - since 1941. Women's. 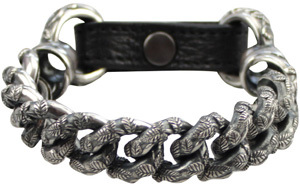 CORTER LEATHER & CLOTH - men's bracelets. 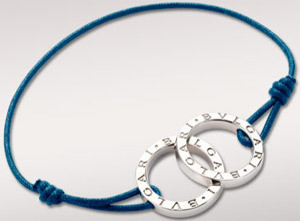 Cuyana - women's charms & tassels. DARIA DE KONING - women's. 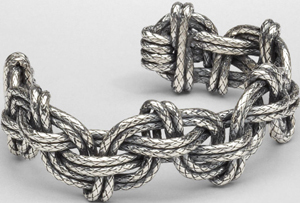 DAVID YURMAN - since 1980. 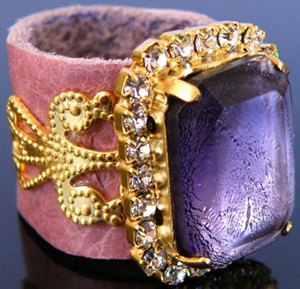 "Discover the artistry and inspiration of America’s preeminent jewelry designer." Men's & women's. Diamond Foundry - "I’m proud to invest in Diamond Foundry Inc. — reducing the human and environmental toll of the diamond industry by sustainably culturing diamonds without the destructive use of mining." - Leonardo DiCaprio. 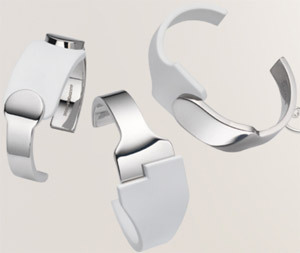 Elsa Peretti - for Tiffany & Co. Women's. FORS TALISMANS - "Fortune Cast In Precious Metal." FOSSIL - since 1954. Men's. FOSSIL - since 1954. Women's. Goodhood - men's & women's. Goossens Paris -founded in 1950. "Years of expertise and a relentless pursuit of excellence: founded in 1950, the goldsmith Goossens has melted the precious dreams of Couture designers into gold, bronze or silver and transformed them into exceptional jewelry and ornaments." GRIMA - Andrew Grima (1921-2007) was an Anglo-Italian designer who became known as the doyen of modern jewellery design in Britain. Since Andrew’s death in 2007, his wife Jojo and daughter Francesca continue the tradition of creating highly original handmade jewellery. A limited collection of 20 to 30 pieces is created each year. HOLLAND & HOLLAND - since 1835. Women's. Holts Jewellery - prestigious bespoke jewellery service situated in Hatton Garden London, U.K. Women's. HOUSE OF AMBER - since 1933. "Danish Design. 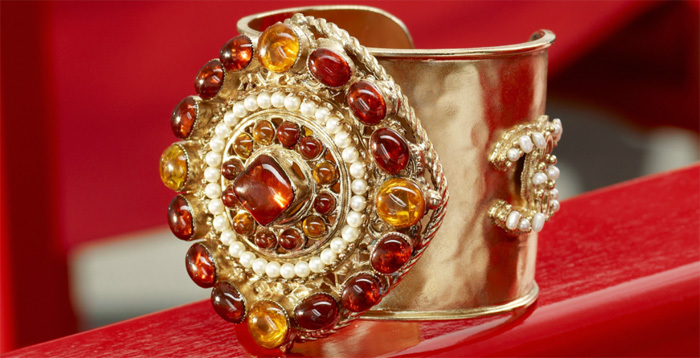 Exclusive amber jewellery." Men's. HOUSE OF AMBER - since 1933. "Danish Design. Exclusive amber jewellery." Women's. ICE LINK - men's & women's. 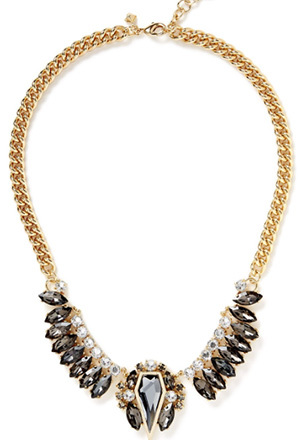 IVANKA TRUMP COLLECTION - women's. Jackie Kennedy Triple-Strand Faux Pearl Necklace - SmithsonianStore.com: US$165. 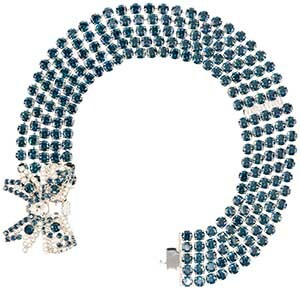 Jean Schlumberger - (1907-1987). 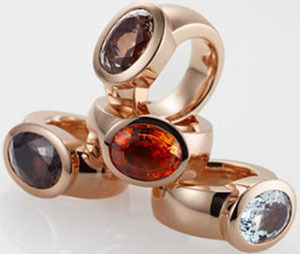 French jewelry designer especially well known for his work at Tiffany & Co.
JOHN HARDY - founded 1975. 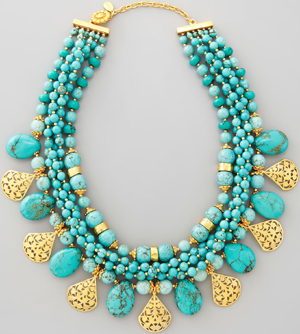 Known for its Asian inspired designs and traditional handmade jewelry techniques. It markets itself as a “sustainable luxury” brand. JOHN REINHOLD - "The Rattle Ring." The ultimate ring for the discreet: elegantly simple on the outside, with much of its beauty and value hidden to the observer and known, in many cases, only to the owner. JosÉ & Maria Barrera - women's. KENNETH JAY LANE - since 1963. 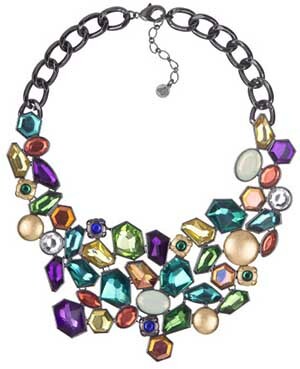 American costume jewelry designer. KENNY MA DESIGNS - women's. KINZIG DESIGN - women's. "I approach each piece of jewelry as a small kinetic sculpture with a keen focus on detail." K.Jacques Saint-Tropez - since 1933. Women's. Kuka-Me - since 2009. 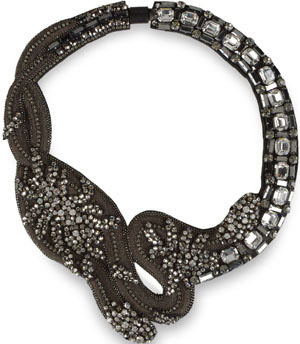 Brainchild of jewellery designer, Reema Pachachi, who became the first Creative Director of De Beers LV in 2001. LOLO & CO. - women's. LONGCHAMP - men's & women's. LOTUS - "Art de Vivre." Women's. Loulou de la Falaise - women's. Mara Carrizo Scalise - men's. Mara Carrizo Scalise - women's. 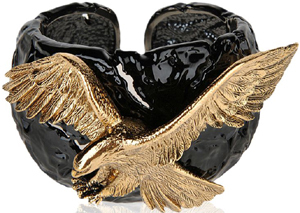 MICHAEL ARAM - since 1989. Renowned for his outstanding artistry & innovative design. Women's. N'Damus London - since 2006. Women's earrings. Nappa Dori - men's wristbands. 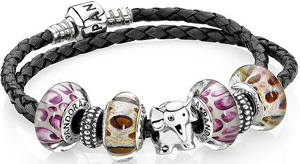 PANDORA - men's & women's. 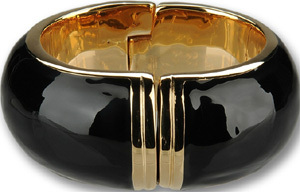 Philip Kydd - women's bangles, atomisers & torcs. Philip Stein - men's & women's. 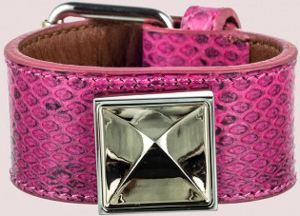 Pinel & Pinel - women's. Robbe & Berking - since 1874. Women's. ROBERTO CAVALLI - since 1970. Men's. ROBERTO CAVALLI - since 1970. Women's. Salavetti - "Finest Italian Designs." Women's. Something Special - established in 1983 in Copenhagen. "Timeless, international and unique design with a touch of luxury, glamor and exuberance. Specialty: Art Deco & Jugend styles." Necklaces, earrings & rings. S.T. DUPONT - since 1872. Women's. SUTRA - since 2008. Women's. SWAROVSKI - founded in 1895. Women's. TABBAH - since 1862. Women's. TALBOTS - since 1947. Women's. The Little Market - women's. Theo Fennell - since 1952. Women's. TIFFANY & CO. - men's. TIFFANY T - women's jewllery by Francesca Amfitheatrof for Tiffany & Company. TOD'S - Made in Italy since 1920. 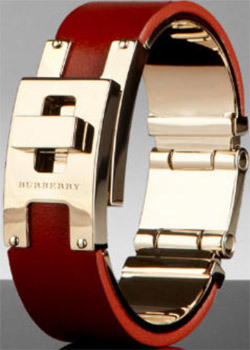 Men's leather bracelets. TOD'S - Made in Italy since 1920. 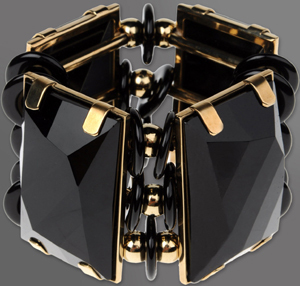 Women's metal & leather cuffs. 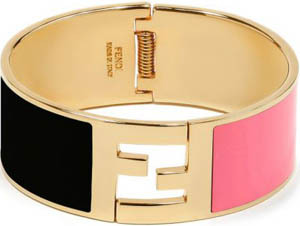 Tom Ford - men's bracelets. 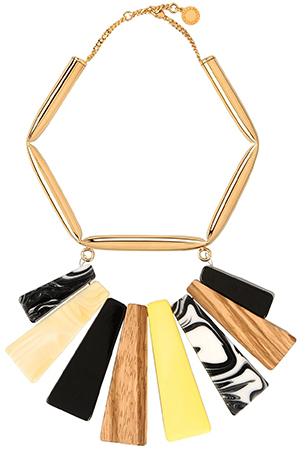 Unik Jewellery Studio - women's. 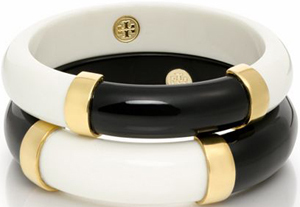 Viola Milano - men's bracelets. Wisewear - women's. "We create innovative smart accessories that keep you safe, healthy, and connected to what matters most." York - by York Prince of Schaumburg-Lippe. Women's. Your Future A.F.A.I.R - by David Sandoval. Women's. ZADIG & VOLTAIRE - men's & women's.